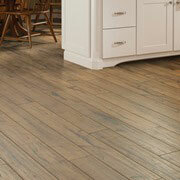 Replacing your client’s current floor doesn’t have to be complicated and costly. At ProSource® of Cleveland, we proudly supply trade pros with the very best carpet, hardwood, laminate, tile, and vinyl flooring from brands you trust and love. Plus, we offer them all at wholesale prices that you won’t find anywhere else! 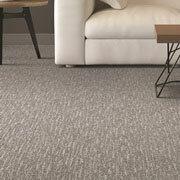 Carpet is a common flooring type found in Cleveland households and is by far the most comfortable under foot. Whether your client’s old carpet is wearing out or they are making the switch from one flooring type to another, bring them in to our showroom today and we’ll help them pick out the perfect carpet for their home remodel. Many homeowners dream of having beautiful oak, maple, or hickory hardwood floors installed in their home and turn to us for the best wholesale prices on the market. We invite trade pros and their clients to visit our Cleveland showroom today and have us help you choose your new hardwood floor. 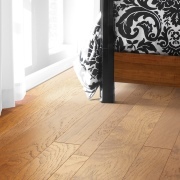 Laminate flooring is a popular choice for clients who don’t want to spend the money on a hardwood floor. Plus, it’s far more durable, versatile, and easier to install than hardwood floors. 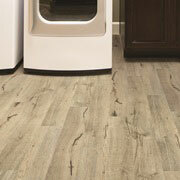 Check out our selection of laminate flooring at your local ProSource showroom today! 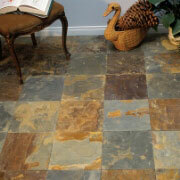 Like hardwood floors, tile is a favorite flooring type of many trade pros and their clients due to its timelessness. Whether your client is looking for stone, ceramic, or porcelain tiles to lay out in their new sunroom, bathroom, kitchen, or basement, you’ll find it all right here at our Cleveland showroom. Much like laminate flooring, our luxury vinyl tile (LVT) and luxury vinyl plank (LVP) flooring is the perfect choice for trade pros who are working with a small budget or simply appreciate its versatility. Easy to install, our vinyl flooring options can mimic any other kind of flooring, whether that be hardwood, tile, or stone. We proudly serve Cleveland, Westlake, and Avon, Ohio as well as Lorain and Cuyahoga Counties. The ProSource of Cleveland showroom is conveniently located in Westlake, Ohio and serves all of the neighboring cities including Amherst, Avon, Avon Lake, Bay Village, Berea, Broadview Heights, Brookpark, Brunswick, Chippewa Lake, Cleveland, Columbia Station, Elyria, Grafton, Hinckley, Homerville, Kipton, LaGrange, Lakewood, Litchfield, Lodi, Lorain, Medina, North Olmstead, North Ridgeville, North Royalton, Oberlin, Olmsted Falls, Rocky River, Seville, Sharon Center, Sheffield Lake, Spencer, Strongsville, Sullivan, Valley City, Wadsworth, Wellington, Westfield Center and Westlake.